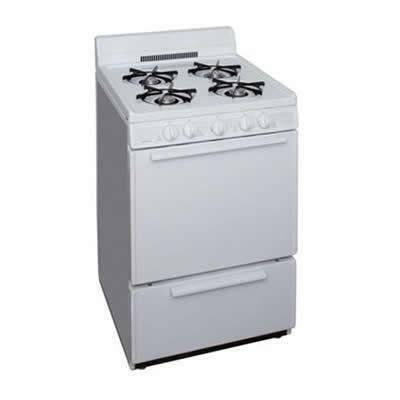 This Premier 24" freestanding gas range's 2.4 cu. ft. oven capacity and 2 adjustable racks allow you to prepare multiple dishes simultaneously. Four 9,100 BTU burners provide plenty of heat for efficient cooking. Additional Information Our home delivery teams or installers are required to install an antitip bracket at no additional charge. Refusal of antitip bracket installation results in a drop-off only delivery, no connections will be completed; Offers quick and easy operation. Battery-powered design functions without a power source; Safely maintains a temperature for an extended period of time in order to comply with kosher cooking practices.